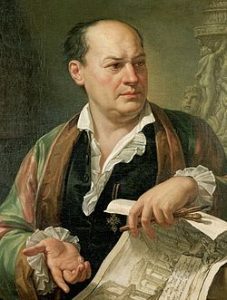 Giovanni Battista Piranesi was born in Venice (4 October 1720). His uncle, a designer and hydraulics engineer, taught him the art of drawing. During his early years, he studied stage design and intricate systems of perspective composition. 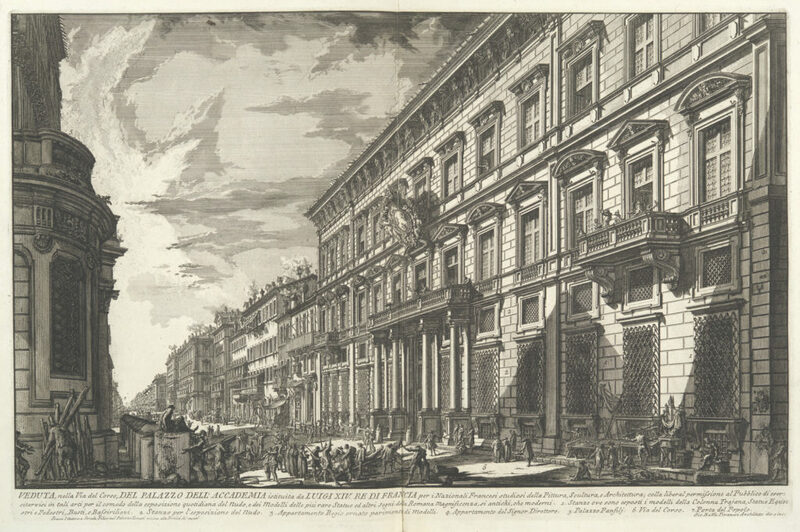 When Piranesi was twenty, he moved to Rome and began a careful study of the city’s ancient monuments. He began etching inventive views of ancient ruins and modern Roman structures, images that brought him great popularity, and later began a series of etchings of fantastic prison interiors. 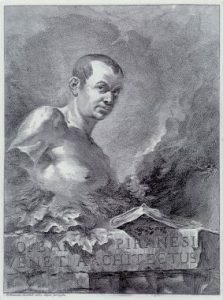 During his fifties, Piranesi’s interest in archaeology took him to southern Italy, where he produced drawings and etchings of Greek architecture. During an expedition, ill health forced him to return to Rome, where he died at the age of fifty-eight. He is best known for his Views of Rome (Vedute di Roma), those beautifully observed, deeply Romantic evocations of decrepit grandeur, and for his loose and the Carceri. 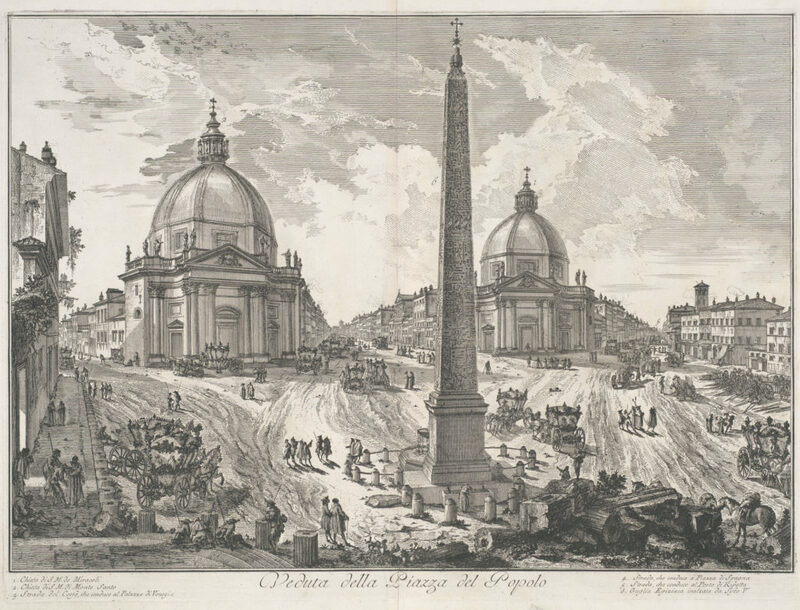 About Views of Rome, he continued to produce plates for the series until the year of his death in 1778. 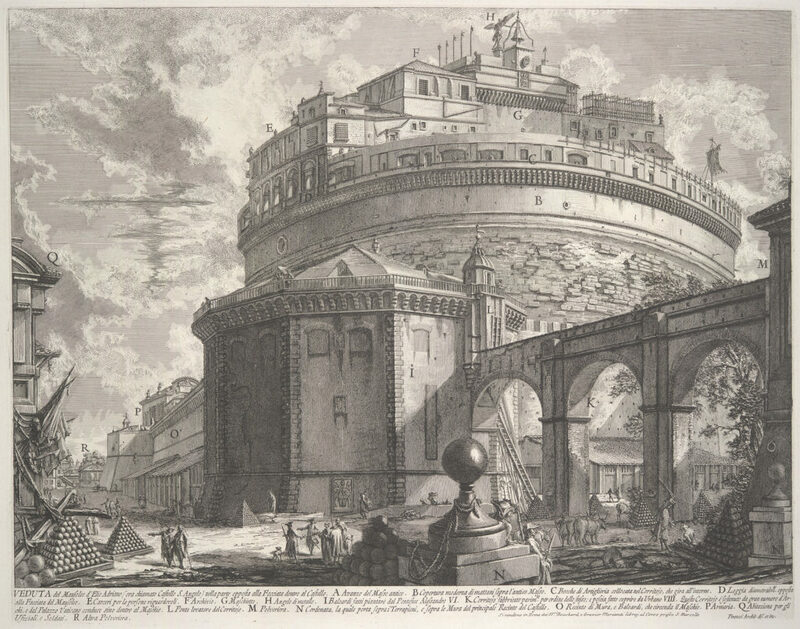 Piranesi’s popular Vedute, which eclipsed earlier views of Roman landmarks through their dynamic compositions, bold lighting effects, and dramatic presentation, shaped European conceptions to such an extent that Goethe, who had come to know Rome through Piranesi’s prints, was somewhat disappointed on his first encounter with the real thing. 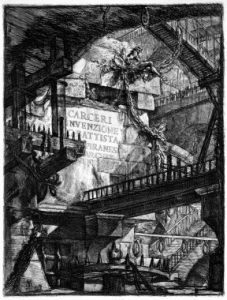 The series of labyrinthine prison interiors named the Carceri, a set of 14 copper plate etchings, was also created soon after Piranesi’s encounter with the lively printmaking scene in Venice. In these prints, Piranesi explored the possibilities of perspective and spatial illusion while pushing the medium of etching to its limits. How can we identify Piranesi’s style? He used the methods of perspective restitution in his etchings. He was not just a recorder of history, he created new artistic visions of the buildings that really exist but in a different shape. He achieved magical and mysterious views of Rome in a perfect combination between the perspective, theatrical composition and play between light and shade. He used the technique of chiaroscuro. He could bring together fact and detail with incomparable levels of emotional expression.